Autonomous Underwater Vehicles (AUVs) serve many different roles, from surveillance to mapping, inspection and search/recovery. 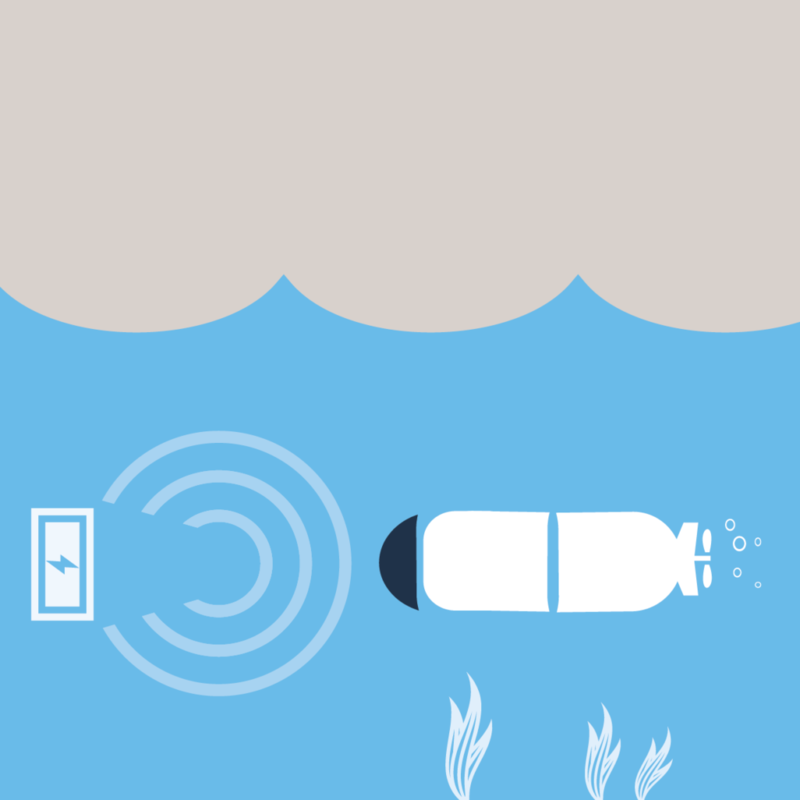 Several attempts have been made at underwater charging, but contact-based systems proved complex and unreliable. Induction-based wireless systems, while initially promising, required high precision docking that was often compromised by biofouling. WiBotic wireless charging and uptime optimization solutions solve these problems with components that provide both high power levels and a high degree of positional flexibility – allowing AUVs to charge simply by swimming into or near underwater transmitting stations. Wireless charging-enabled docking stations can be placed in aquatic environments allowing AUVs to dock and charge quickly. Flexible antenna range keeps the system running despite potential for biofouling; wireless charging components can also be potted to allow full aquatic submersion. WiBotic technology enables fleet-wide power management by tracking battery status during charging, even across multiple charging stations. We serve a variety of industries including: Oil & Gas, Academic Research, Defense and more.